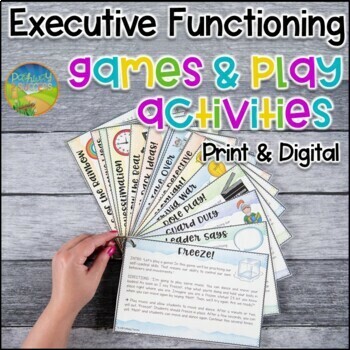 Use these Executive Functioning Games and Play Activities to practice executive functioning skills in a fun and interactive way! Skills include planning, time management, working memory, self control, flexibility, organization, task initiation, metacognition, attention, and perseverance. 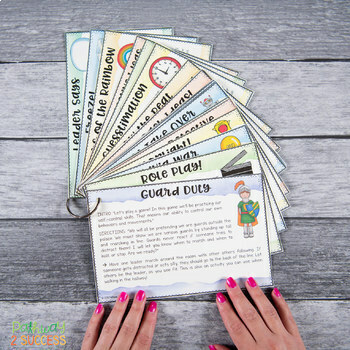 Over 30 unique activities for small groups or full classes are included. They include role play, movement, and fun thinking games that help develop the skills kids need! These games and activities are particularly helpful for kids who need these skills, but need a different and more interactive way of learning the skills. 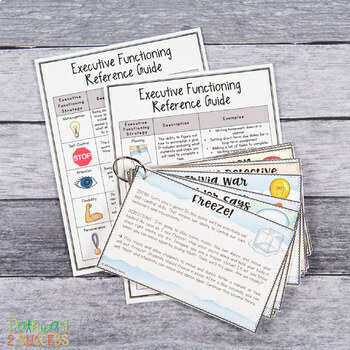 These games and activities are aimed to help students who need help with their executive functioning skills. Many times, these students are very bright but can struggle in school because they are lacking these skills. Learning these skills can actually benefit ALL students. However, they can be especially helpful to kids requiring special education services, such as students with ADHD, learning disabilities, and more. Keep cards on a ring or in a spot for easy access. Pull one out to practice a skill during a transition, as a brain break, during morning meeting, during break time, or any time! Read the directions, which are scripted out for you. Follow the rest of the directions to play the game as a full group, small group, or in partners. You can put cards on a ring or print them smaller size to keep them in a task box container. 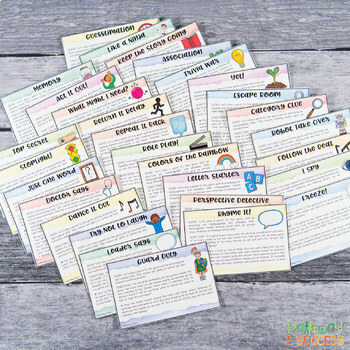 These are perfect as brain breaks, morning meeting activities, for small groups, and more.